This section contains all your custom components. Here you can find all of your saved components, create new components, or import new ready-made components from SVG files. 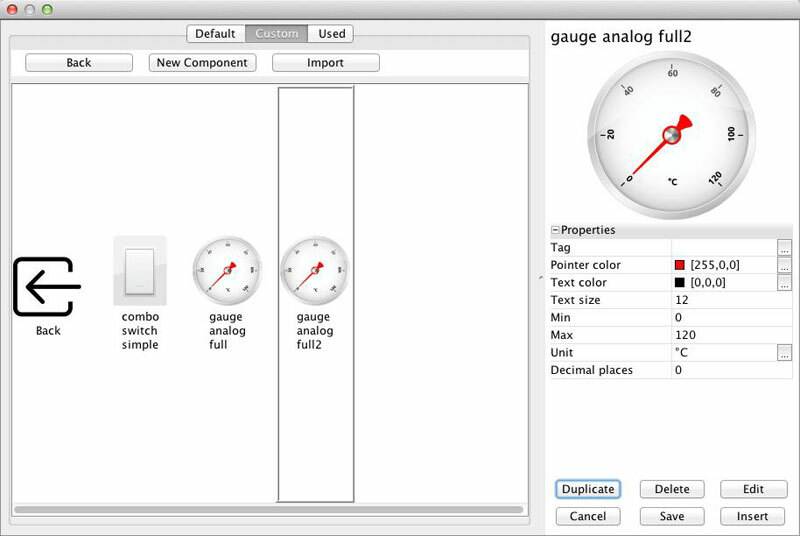 This feature allows you to create, customize, and implement your own components. 1. Click on the New Component tab and enter the name of your new component, then click on OK.
2. 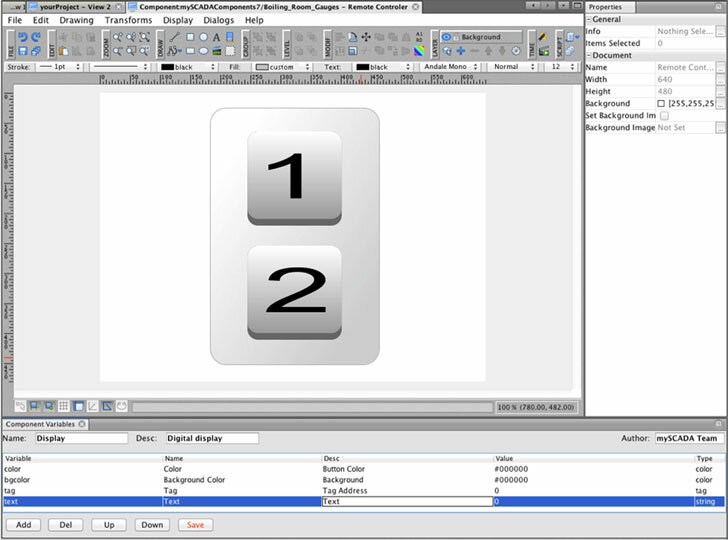 Select the new empty component from the list and click on the Edit button to prompt a new edit window (identical to the drawing canvas, see more in the chapter Drawing). 3. When you have finished creating your component, click on the Save button at the bottom and close the editing window. 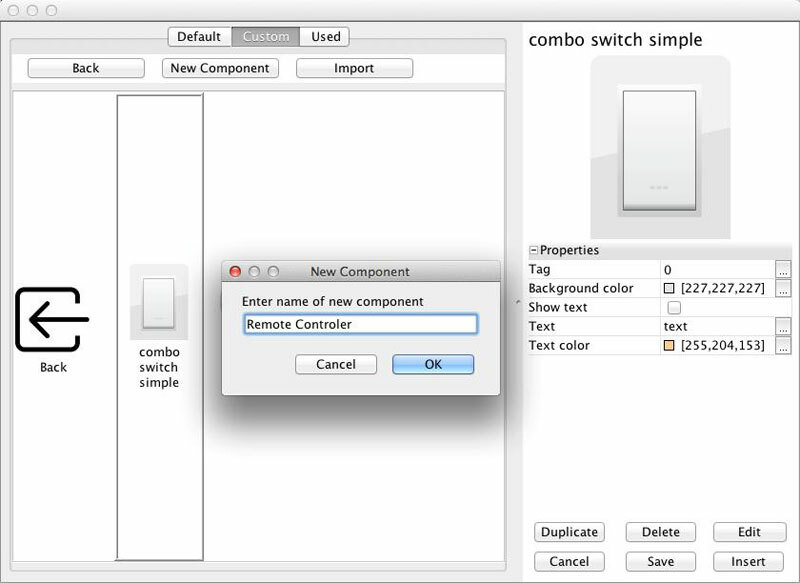 Your component will now be stored in the Custom All components in the Custom section can be duplicated, deleted, or edited later with the use of the buttons located in the right bottom corner of the Components dialog window. Note: All created and edited components in the Custom section are stored as SVG files, and you can find them in your user folder on the hard-drive. 1. 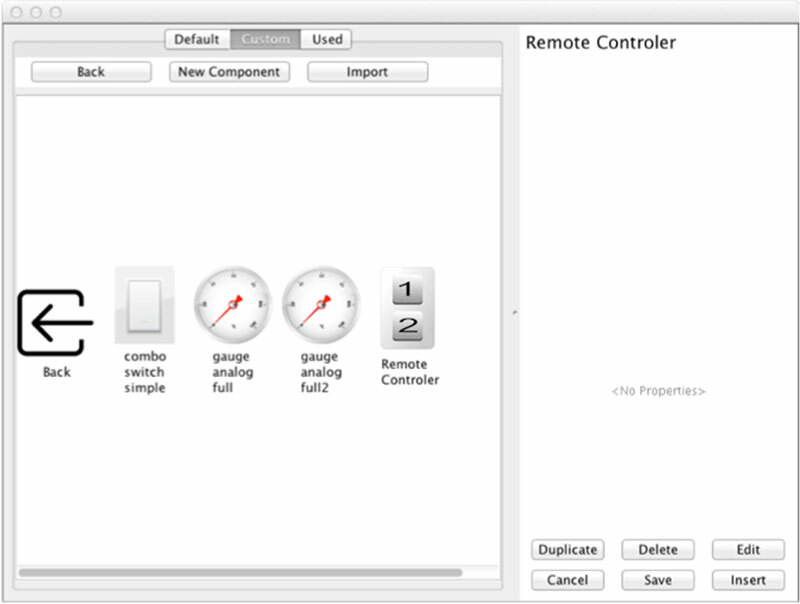 Navigate to the Custom tab and click on Import, which will prompt the dialog window Import Component. 2. Select the SVG file from the source folder and click on OPEN to integrate the new component into to your custom components list. Enter a new name and hit OK.